Ranked with 4 stars rating, Sound Shore Fund has a year to date return of 41.53% in 2013. This top fund uses a value investment strategy to its selection of predominantly Large Cap and Mid Cap common stocks for the portfolio. It has a yield of 0.65%. You can buy it with $10,000 initial funding for your brokerage account or $2,000 for your retirement account. The fund has total net assets of $2.1 billion. It has a 3 year annualized return of 15.69%. The top 3 stocks are Thermo Fisher Scientific Inc, Schlumberger NV, and Qualcomm Inc. Dodge & Cox Stock fund is popular among investors. Whether you have a brokerage account, an IRA (individual retirement account), or a 401k account; you will find this equity mutual fund. It invests in a diversified portfolio of common stocks. It is managed by 9 portfolio managers. It also has total net assets of $54 billion. This top performing no load mutual fund has returned 17.24% over the past 3 year, and 18.63% over the past 5 year. Morningstar has ranked it with gold stars. The minimum to invest is only $2,500. Its expense ratio fee is only 0.52%. The top 3 stocks are Capital One Financial Corp, Wells Fargo & Co, and Microsoft Corporation. Homestead Growth Fund is managed by Robert W. Sharps. In 2013, it has an annualized return of 43.40%. It utilizes its assets to purchase common stocks of large companies with growth potential. This no load fund has an expense ratio fee of 0.95%. The 3 year beta risk is 1.19. Vanguard PRIMECAP Fund invests mainly in stocks considered to have above-average earnings growth potential that is not reflected in their current market prices. It has a low expense ratio fee of 0.45%. 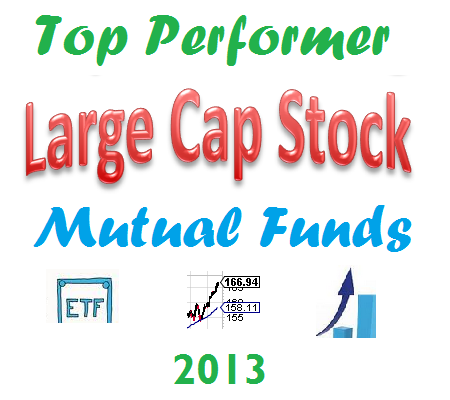 This best performing U.S. large cap stock mutual fund is ranked with 4 stars and gold rating. Its yield is 0.87%. As of December 2013, the top 3 equities in its portfolio are Biogen Idec Inc, Amgen Inc, and Roche Holding AG. The top 3 sectors are healthcare, technology, and industrials.